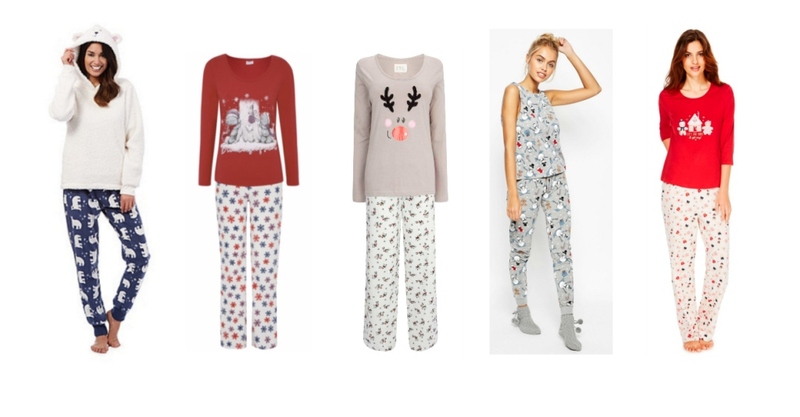 I absolutely love pyjamas and as it's the Christmas season I found a bunch of Christmas themed pyjamas for you to have a look at. I don't think I own any Christmas pyjamas but I may buy some soon or hope I get some as a Christmas present. Do you own any festive pyjamas? On 1st December I plan on putting up my Christmas decorations but I'll need to buy some new ones as I won't be able to use last years as I believe it was those that made my cat Cookie ill and he kept dribbling everywhere. 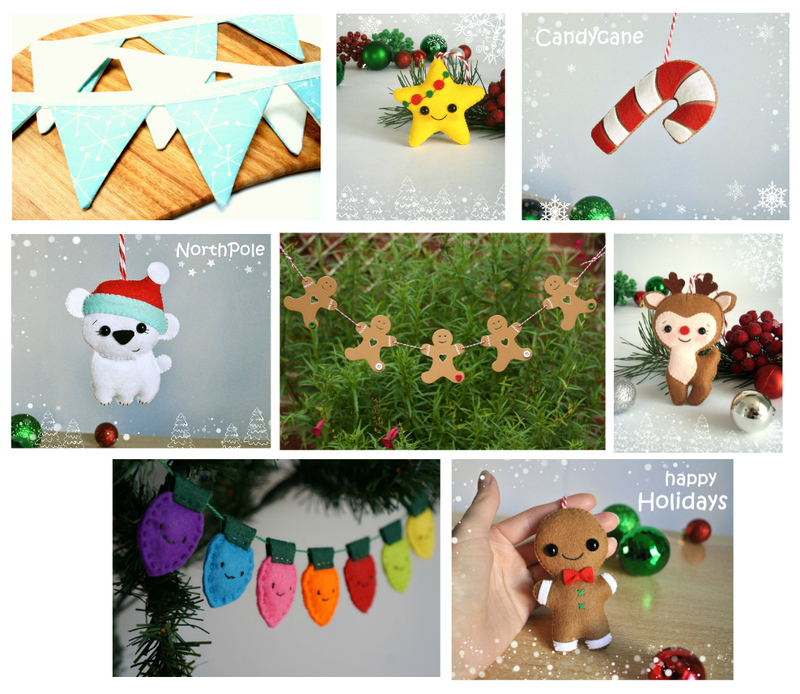 I will be using the same tree and hope that doesn't cause any problems but I will be buying some felt decorations to put on it. Another problem I have is that my other cat Fudge is still a kitten and likes to chew wires sometimes so I won't be able to put lights on my tree but I have found some felt ones just for decoration. All these problems having cats but I love them. 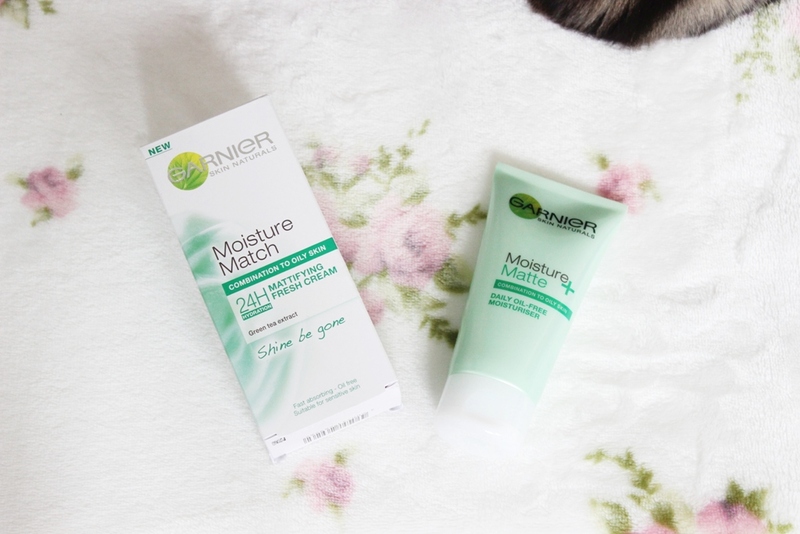 I've wanted to try the Garnier Moisture Match Mattifying Fresh Cream for a while so when my moisturiser ran out I went for this one. I bought the version for combination to oily skin to match my skin type. It's supposed to help reduce shine and contains green tea extract which is an anti oxidant and leaves skin smooth and matte. It's oil free and quick to absorb and also says it provides 24 hour hydration. The packaging of the actual product is rather plain and each of the different skin types have a different colour for the packaging. As you can see the combination to oily skin has green packaging. The product itself is quite thick and has a slight green tinge to it but this does not make your face look green. 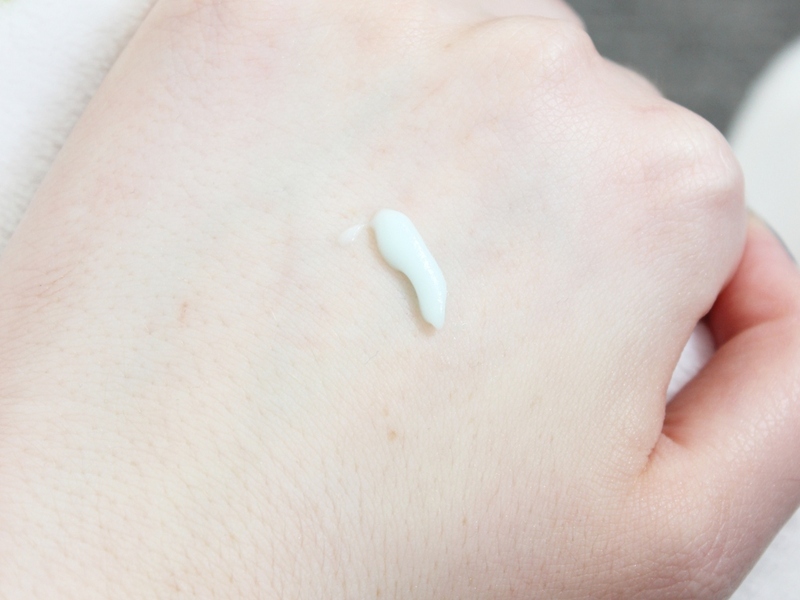 I think this is probably my favourite moisturiser that I've ever used so far. It rubs into the skin really lovely and leaves my skin feeling soft and matte which is definitely what I want. I don't want any of that shininess on my face. I have found that it keeps my face quite matte throughout the day. I've been using this for a few weeks now and my skin definitely feels and looks better. You can buy this for £3.99 from Superdrug. Recently I've been seeing a lot of YouTube videos on decorating your planner with stickers. I already have a small sticker collection and they have just been sitting in my stationery box so after seeing these videos I thought I could start decorating my planner with them. 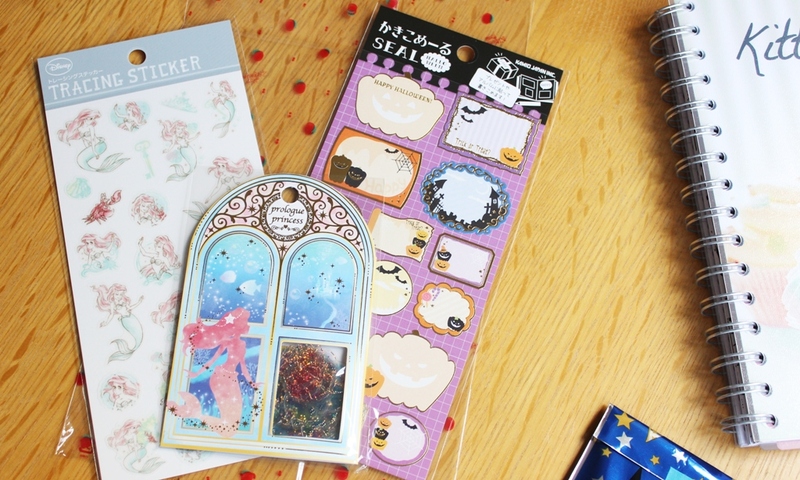 I also found a lot more stickers I want to get on Etsy so I will gradually be buying them but for now here's my first sticker haul from three Etsy stores. The first store is PlanWithJade where I spent £10.01. 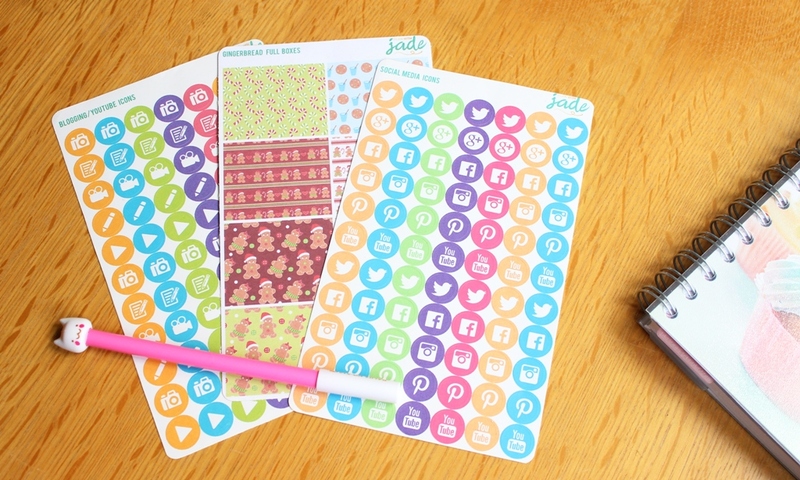 I bought some blogging and social media icons for planning out my blog stuff each week. I love cute little gingerbread men so when I saw these decorative boxes I had to get them to use at Christmas time. I wanted to make my order at least £10 so I added a little kitty pen which I will be using to write in my planner. The next store is xsugarhuix where I spent £10.64. 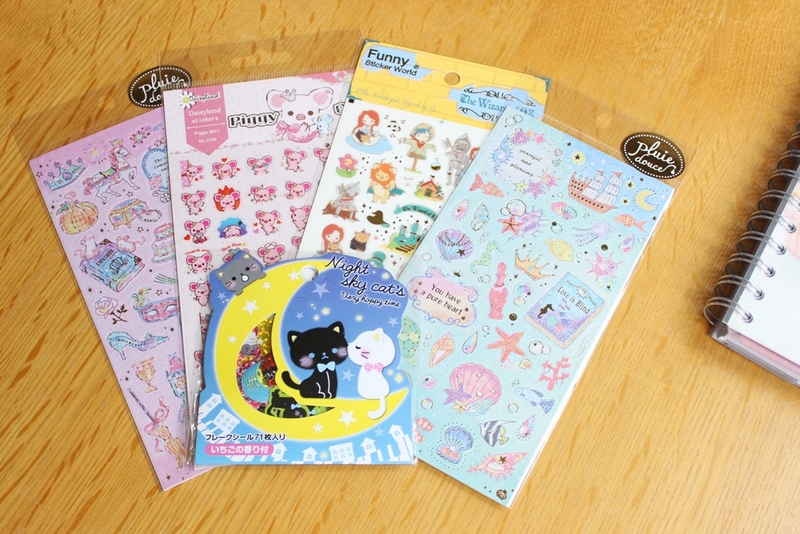 All these stickers are just decorative, they're cute and pretty so I had to get them. I got a couple Disney princess themed sheets, a Wizard of Oz sheet, a Piggy Girl sheet and some cute kitty flake stickers. The last store is CuteThingsFromJapan where I spent £8.59. Again these are all decorative stickers, Ariel is my favourite Disney princess so I had to get some of these stickers, I think they might have a few others which I will also need to get. I got some Halloween decorative boxes which I was going to use this Halloween but I didn't get round to it so I may save them for next year or just use them throughout the year. 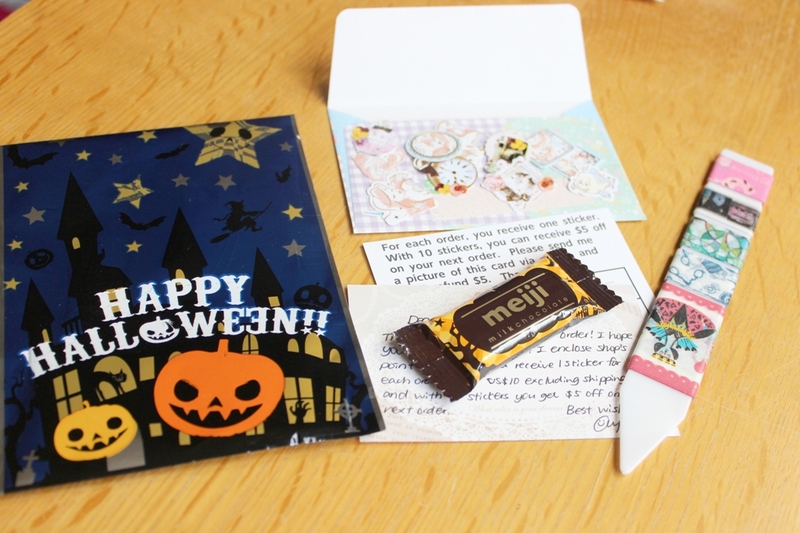 Also from the same shop, they sent some freebies in a cute Halloween packet. There was a little thank you note, some flakes of stickers in a pretty envelope, some washi tape samples and a mini chocolate which was delicious. I love all the stickers that I bought and I can not wait to buy some more from these shops so keep a look out for more sticker hauls in the future. Do you have a planner you decorate? 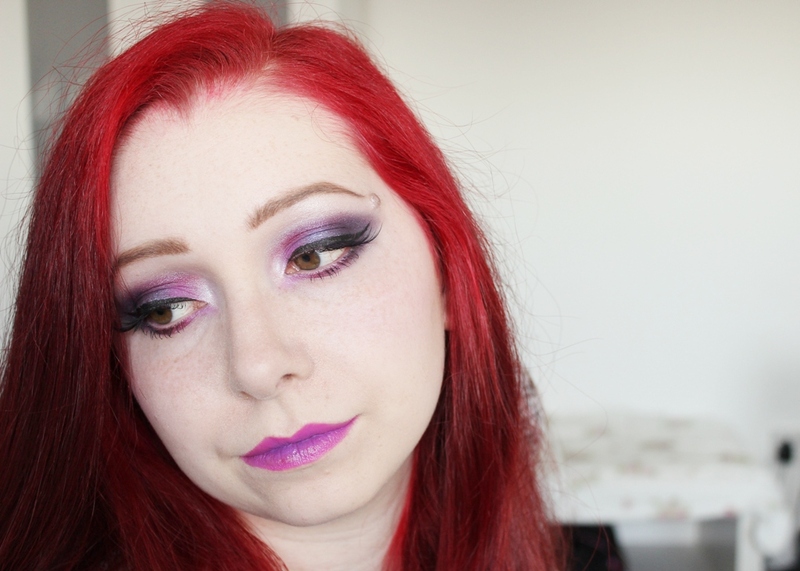 Todays makeup look is using the shadows from the right side of the Makeup Revolution Mermaids vs Unicorns Palette which are more pinks and purples. 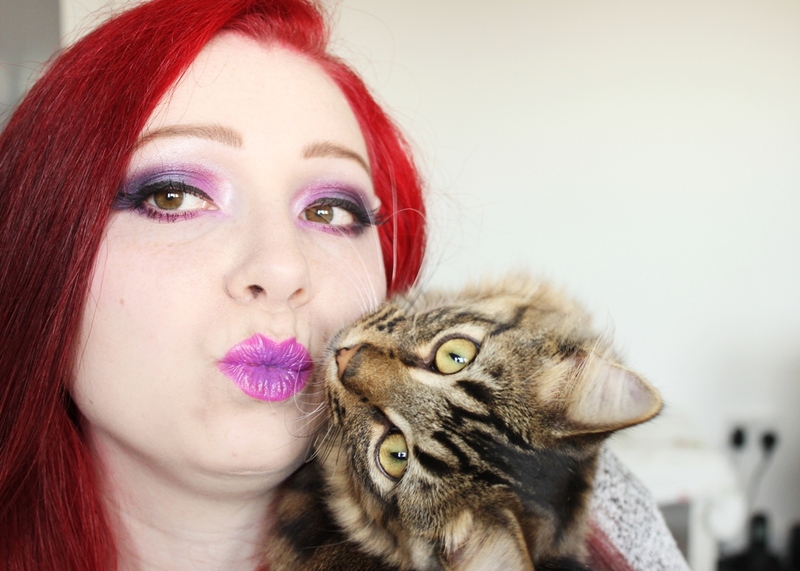 Keep to my blogging schedule - I didn't do too well on this one as I only posted 5 times in October but I had to help my mum a lot and stayed round her house a lot so didn't have access to all my stuff. 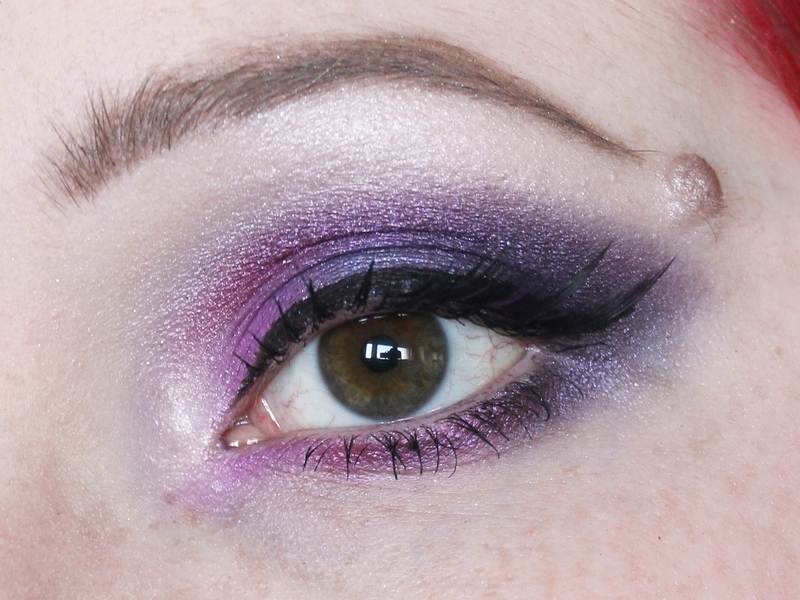 Do at least one Halloween makeup look - I managed to do this one just about, it wasn't the best but I'm happy with it. Do some exercise once a week - I absolutely failed at this one, I just find it so hard to motivate myself to do exercise. Read the Harry Potter books and watch the films - I only read and watched Harry Potter and the Philosopher's Stone so I didn't get too far with these but I'm currently reading Harry Potter and the Chamber of Secrets and I'll just continue going through them. Decorate my planner with stickers - I bought some stickers last month for this and there will be a haul coming soon. Eat a bit healthier - I've eaten so many cakes and sweets last month and I want to cut down on this and lose a bit of weight too. Practice filming - One of my goals for this year was to start doing YouTube videos and we are now getting close to the end of the year and I still haven't done one. 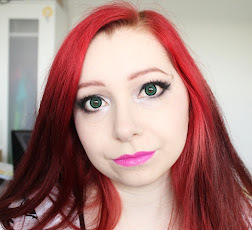 This month I'm going to try filming and hopefully I can get my first video up before the end of the year.